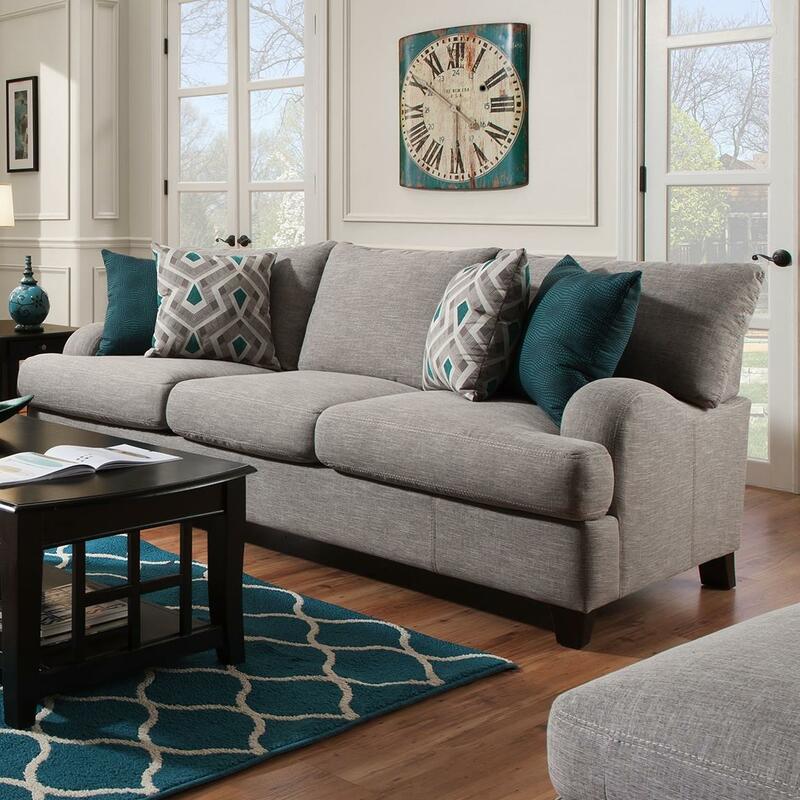 This three seat sofa is a great combination of affordability, comfortable seating and trending style. This piece features a neutral color tone with bold accent pillows. It has swooping track arms and tapered wood feet. The reversible seat and back cushions on this sofa will help to extend the life of the piece. The Paradigm Sofa with Bold Accent Pillows by Franklin at Miskelly Furniture in the Jackson, Pearl, Madison, Ridgeland, Flowood Mississippi area. Product availability may vary. Contact us for the most current availability on this product.